Countless regions of life evolved throughout the multiverse of megaverses covered with universes. In each of these regions, creation -- the universal creative force -- has produced all of the essential elements (tattvas in Sanskrit) and much, much more. There are elements that can be compressed to nearly nothing, and then expanded beyond the beyonder, just as the air and the sky. There are those that can be shared without loss such as fire and ether, and that which cannot be compressed -- not even in the slightest, at all, in any way -- such as the waters of the world. 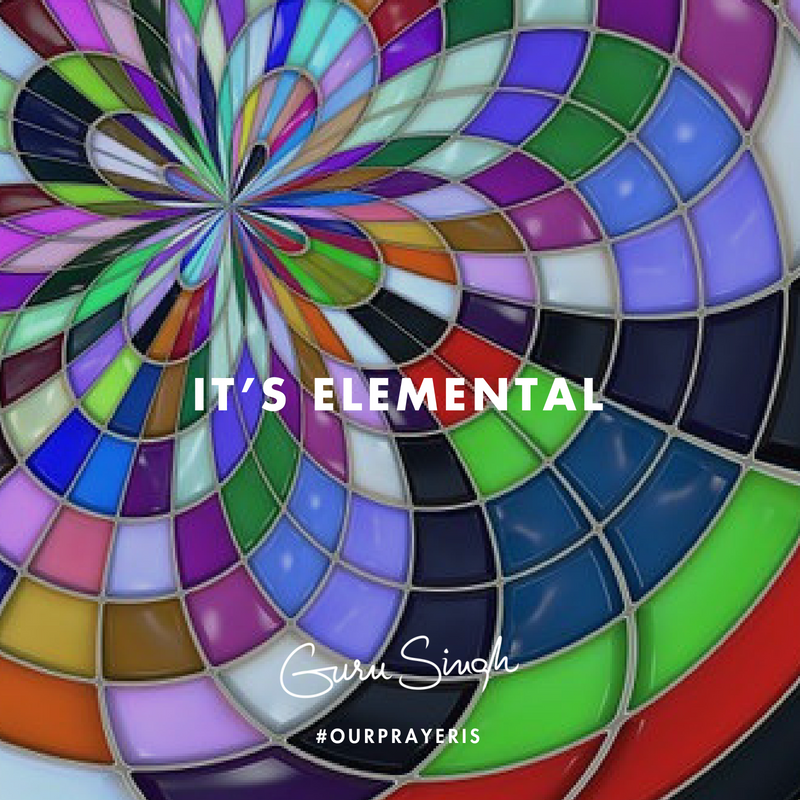 It’s the combination of these elements and their capacities that allows for the ease, joy, knowing and liberation of all life, to exist amongst the tension, pressure, stress and friction of all matter. There are many mantras (sounds) that have been discovered over the millennia and eons -- sounds existing within and around these elements -- sounds enabling human consciousness to work with, and use their quantum magical powers. Mantras such as: Pritvee Hey, Akash Hey, Guru Ram Das Hey, and Pavana Pavan Wahe Guru, all speak with the core vibrations created by chanting through the syllables of these elements. This can expose human magic in a world of enslaved logic. Our prayer is that you gently study the science of mantra alongside the world of these elements; that you practice this practice daily and perfect your relationship with their quantum magic just beyond your senses in the commons, then bless this material world with the ethereal beauty of their sounds.